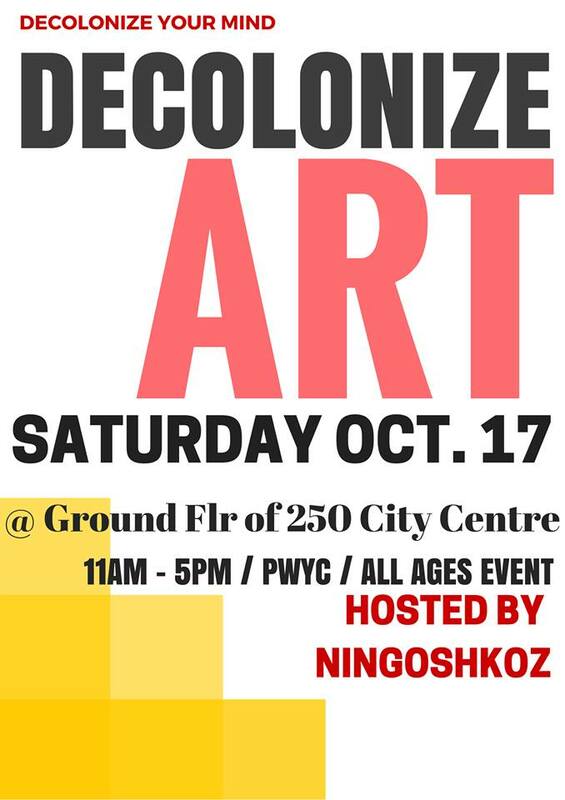 This Saturday Ningoshkoz is hosting Decolonize Art - Response to the vandalized murals at The Odawa Native Friendship Centre. I'll be giving an informal artist-talk/workshop and doing some live painting along with Mique Michelle and other possible artists TBA. 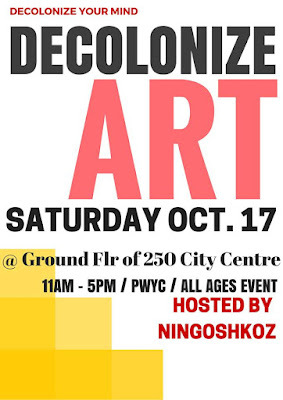 There will be opportunity for everybody attending to paint, create, and get involved! Its been an intense few of months. Murals in support of Black Lives Matter, a memorial for Sandra Bland, a mural honouring deceased Trans Women of Colour and a mural celebrating Indigenous and Black solidarity were all vandalized in a short period of time. But despite some of the negativity, there's also been some really positive connections made, creating room for some honest dialogue and providing opportunities to build solidarity between communities through art. Hope to see you there Saturday!